The only thing that was truly confirmed today is that Donald Trump’s handpicked Attorney General William Barr is the Trump puppet that we all hoped he wouldn’t be, and feared he would be. Barr’s “summary” of the Robert Mueller report is such a cartoonishly pro-Trump propaganda piece, even legal scholars are scratching their heads as to what might really be going on. But there is one piece of apparent information about the actual Mueller report that has surfaced, and it tells a very different story than the one Barr is selling. “It’s really damaging to the president. I can’t answer any questions about it. But it’s bad.” The source then stated that the Barr summary “is NOT Mueller’s report,” adding that “the report is much worse than this.” So what does any of this tell us? If this source does indeed know what’s in the Mueller report, it tells us that Barr’s summary is a complete whitewashing of what’s actually in Mueller’s report, in a blatant attempt at protecting Donald Trump. Things could have gone either way with William Barr, but it became clear today that he is solely interested in protecting Donald Trump. That said, Barr doesn’t seem to be stupid, and he surely knows that House Democrats will force the real Robert Mueller report to become public soon. So at most Barr’s fibbing today merely hands Trump a temporary talking point, until we get real answers from Mueller. 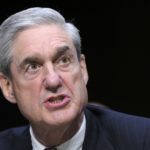 The Democrats will immediately subpoena Mueller’s full report, and they’ll subpoena Mueller to publicly testify about his report.